Another annoucnement is the release of the S.H. 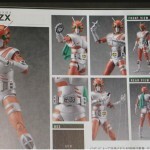 Figuarts Rose Attacker as a Tamashi Web Exclusive! The trusty ride of Kamen Rider Baron will be coming out in July 2014 for the price of 4,536 yen! 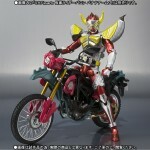 stay tuned to tokunation for more news on more S.H. Figuarts Kamen Rider Gaim releases! 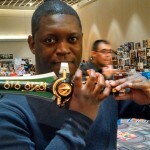 Legacy Dragon Dagger In Hand Images! At RoboToyFest in Pasadena, California some lucky folks were finally able to get some hands on experience with the Legacy Dragon Dagger! Here you can see some images of the completed box, a size comparison with the vintage Japanese dagger and a shot of a lucky fan weilding the dagger, finally showing us just how big this thing will be in hand. 2014 Sentai Name Confirmed: Ressha Sentai Tokkyuger! well, after several rumors, we finally have the namefor the next installment in the Super Sentai series will be Ressha Sentai Tokkyuger! Going off this name, we can deduce that the next Super Sentai series will be based off Trains! thanks to Henshin Justice for this news! and stay tuned to Tokunation for more news on Tokkyuger! 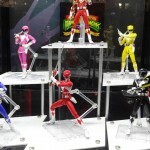 Bluefin Tamashii reveals full set of Zyruanger/MMPR S.H. Figuarts! 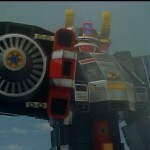 stay tuned to tokunation for more SDCC news! While he was a preview for Tamashii Features vol. 6, S.H. Figuarts Kamen Rider ZX has been fully revealed in this magazine scan. S.H. Figuarts Kamen Rider Black 2.0 & Battle Hopper, Shadowmoon Reissue! 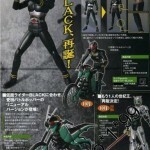 A scan has come out revealing the long rumored Kamen Rider Black 2.0 is happening! along side it seems a reissue of Shadow Moon will be happening as well as a brand new Battle Hopper! If I am reading the page right they will be coming out in October of this year!